Imagine trying to explain Little League, college ball and Major League as a distinct each, without understanding they are all forms of baseball. Each is slightly different, but their commonalities help explain their differences. It seems that too many civilian strategists and military leaders have been trying to do just that when it comes to war. To be sure, there are different forms of war, but each variety of war cannot be understood separately from its common source. All forms of war reflect war’s essential nature and arise from particular circumstances. Each form, therefore, is different, but all are war nonetheless. This intellectual deficiency has been going on for a long time and hinders our ability to understand the current war and how to succeed in it. For example, I wrote in a 1994 Armed Forces Journal International essay, “War In All Its Forms,” that Americans define war as the armies of one nation-state or groups of nation-states fighting those of another. Then we draw a line, and everything else is operations other than war. I argued that this kind of understanding of war is dangerous because it suggests the conditions required for success in war differ from those labeled other-than-war. The particulars of any given use of military force are important, but any situation in which violence is being used to compel the submission of an opponent to attain a specific political purpose is war and must be approached as such. Unfortunately, the main line of thinking in the U.S. has followed a different path. Instead of using Clausewitz to cultivate an understanding of war as an overall phenomenon and acknowledging that war has many varieties since part of war’s essence is being “more than a chameleon,” for the past 22 years we have adopted a “spectrum of conflict” approach. On one hand, taking this approach makes eminent sense. Armed humanitarian assistance, peace enforcement, peacekeeping, peace support, counterterrorism, counterinsurgency, counterintervention, hybrid, irregular war, gray zone operations, stabilization operations, conventional war, and the many other types of conflict on the spectrum do differ from one another. Further, the specifics of local and regional geographic, social, political, economic and security details matter both in understanding the conflict and in structuring approaches that have a reasonable probability of success. On the other hand, this approach diminishes—perhaps even hides—what each of these uses of military force has in common: They are all reflections of war as a total phenomenon. This approach also hides the fact that any solution suggested for a particular form of war along the spectrum cannot be contrary to war’s essential nature. One of the mistakes we have made, starting in the recovery from the Vietnam War, is this: In separating the varieties of uses of force, we have created an intellectual environment in which we have come to believe that each point along the spectrum is unique. Each point, therefore, requires its own doctrine; its own training methodology; and its own strategic, operational and tactical approach. Again, there is partial truth and utility in so categorizing the uses of force. But we have told ourselves this story and emphasized the differences among points of the spectrum for so long that we are lost in the trees, unable to navigate through the forest. Perhaps the end of the Cold War as well as the emergence of the Information Age also encouraged this kind of binary thinking. This period was taken by some as the end of history, though not in the sense that Francis Fukuyama intended in his book The End of History and the Last Man. Everything was new. With respect to war, we could now “lift the fog of war.” War as we knew it was over. The revolution in military affairs would usher in wars whose nature would be substantively different from the past. The U.S. responded to the 9/11 attacks with just this view in mind: Network-centric warfare and air-delivered precision munitions would obviate the need for large numbers of ground forces. Or so we thought. Certainly, the tools of the Information Age have changed some aspects of how wars are fought. But as the last 15 years of war have proven, they have neither changed all aspects of warfighting nor altered the nature of war. “This will be a different kind of war,” President George W. Bush announced after the 9/11 attacks. He was right in one sense, and that’s Strachan’s point. The nature of war hasn’t changed, so many aspects of fighting and waging war remain constant; and every strategy, policy or other approach suggested must comport with that nature. When Clausewitz says the first task of statesmen or commanders is to figure out the kind of war on which they’re embarking, he does not mean figure out at which point on the spectrum of conflict this war fits, then put a label on it. Rather, he means look at what the enemy is trying to do, the various ways they are trying to achieve their goals, what they are using as means, and how much effort they’re willing to expend to achieve their aims. This kind of intellectual and analytical work produces an understanding of the kind of war one is in. Then, Clausewitz continues, don’t try to change that understanding to fit preconceived notions. If we were to follow this logic, we would be clear that our enemies are waging a global, revolutionary war, and we wouldn’t keep trying to make it something it’s not—a set of counterterrorist actions. Strachan describes a second, peacetime consequence of the binary approach to war: “It can make many long-term procurement projects look irrelevant and sometimes irrational.” The logic of this seduction goes: The most likely form of war is ______ (fill in your favorite point along the spectrum of conflict). Therefore, the logic continues, we need only the capabilities necessary for that form of war. Of course, this logic is extreme, but one can also see its presence in today’s strategic discussions concerning both the size of the U.S. military and its composition. What this logic forgets is that war, in any of its varieties, is more unitary than it is divided. Also, when war starts at one point on the spectrum, it often jumps to another. Further, many wars combine points on the spectrum. Finally, given the nature of war, optimizing the armed forces of a nation toward one variety of war is simply folly. Tactical actions, whether military or nonmilitary, must be combined sequentially and simultaneously into military and nonmilitary campaigns that serve to achieve strategic aims. Aims, strategies, policies and campaigns must be sufficiently coherent and flexible to adapt to the ambiguity of war’s unfolding. 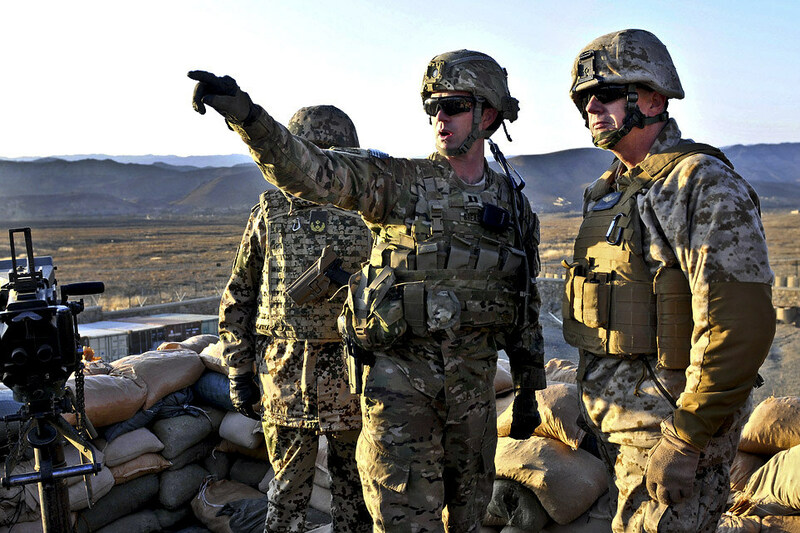 Domestic and coalition organizational structures must be put in place to make initial decisions among a host of agencies; adapt those decisions over time—again, in response to war’s dynamic nature; and produce and sustain sufficiently constant unity of effort in execution. The legitimacy of the war must be accepted by the community that wages it and, in most cases, by the international community as well. Also constant is that war is the realm of fear, fog, friction, chance, emotion and uncertainty as well as the realm of judgment, leadership, courage, reason and skill. Every point along the spectrum of war shares these and other characteristics, and any so-called solution for a particular form of war that does not recognize these commonalities is likely to make things worse or fail altogether. Continuity and change are two sides of war’s coin—another constant. A new administration offers an opportunity to reassess and redirect. When such a reassessment occurs, it should rest on a more secure foundation than it has for the past 15 years.